Unfinished construction on the Irrawaddy River by China Power Investment. 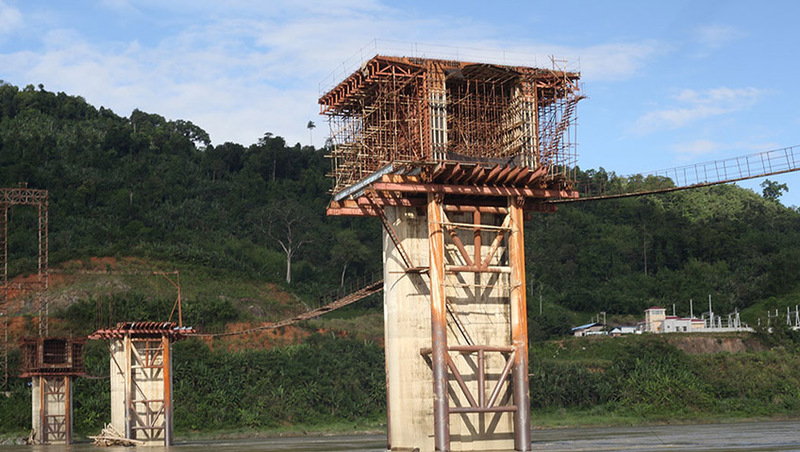 Top Photo - (Seamus Martov / The Irrawaddy) Pillars built in the Irrawaddy River by China Power Investment (CPI), remain unfinished, four yeas after the Myitsone Dam's official suspension. The pillars are part of a bridge CPI was building to facilitate the dam's construction.